Uniting innovation and imagination with time-honored craftsmanship, we create, construct, and restore one-of-a-kind structures with minimal impact to the natural landscapes they inhabit. This fully custom mountain residence is tucked in a very private location in the shadow of the Tetons. 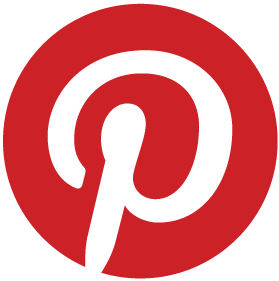 From the beginning of the project, the owners were very thoughtful in their need for a highly functional family retreat and they assembled a great team to deliver the project. 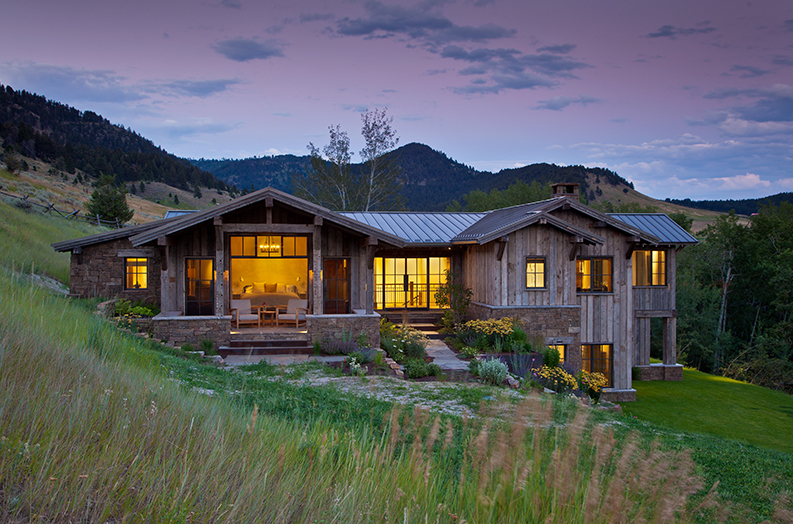 Peter Zimmerman Architects, Peace Design, and Yellowstone Traditions worked together from positioning the home site through final landscaping to make sure every detail of this home was both functional and beautiful. 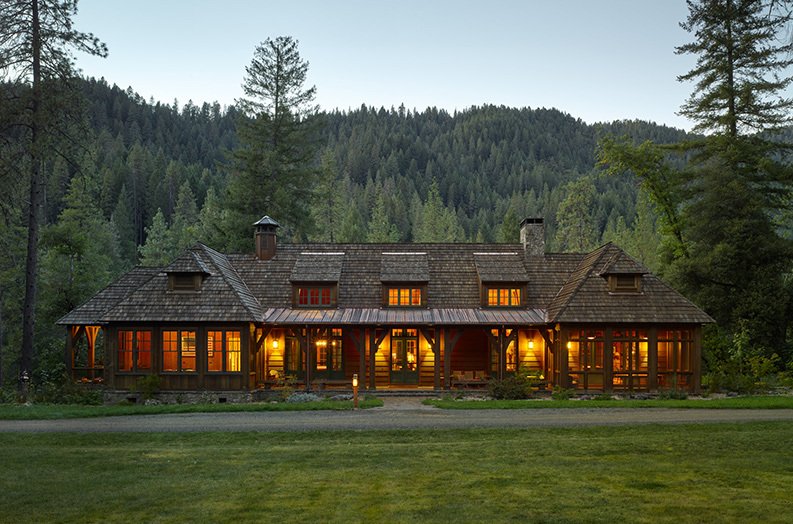 This 5,600 square foot custom residence is the product of a successful project team consisting of wonderful clients, Miller Architects, Laura Fedro Interiors, and Yellowstone Traditions. Our handcrafted cabinetry, interior doors, and other finishes, all created with handpicked natural materials, add an abundant sense of down-to-earth warmth throughout this comfortable, spacious home where Mother Nature is a constant presence, inside and out. Working with drawings by Walker-Warner Architects of San Francisco, we built a compound that coexists beautifully with its rugged natural setting and will be enjoyed for generations. 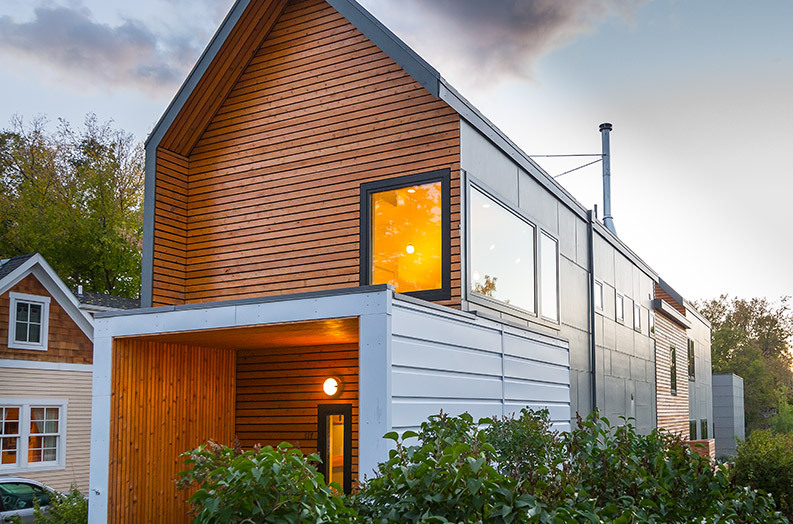 In collaboration with Think Tank Design Group of Bozeman, we worked with this modern home’s tight building site by creating a hidden roof gutter system that ingeniously moves water away from the house underground into the landscaping. 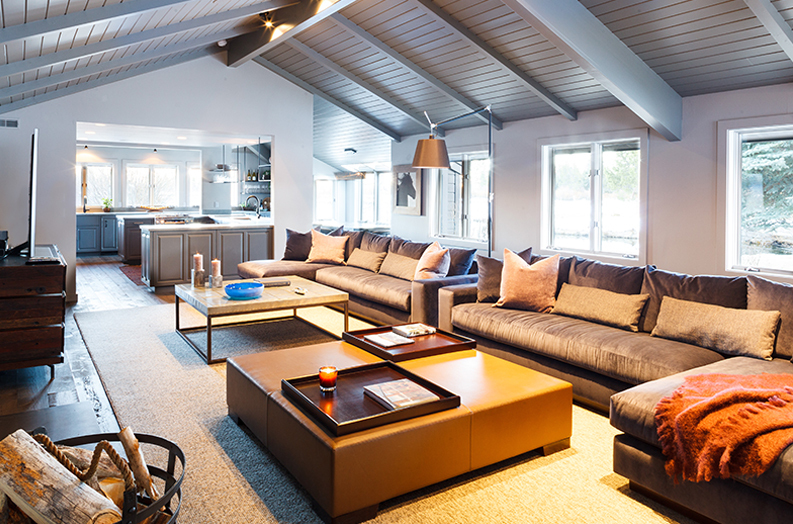 Our comprehensive interior remodel thoroughly refreshed this 4,160-square foot ranch house. In collaboration with Shawback Design of Napa, California, we reconfigured walls, doorways, and ceilings to improve circulation, functionality, and aesthetics. 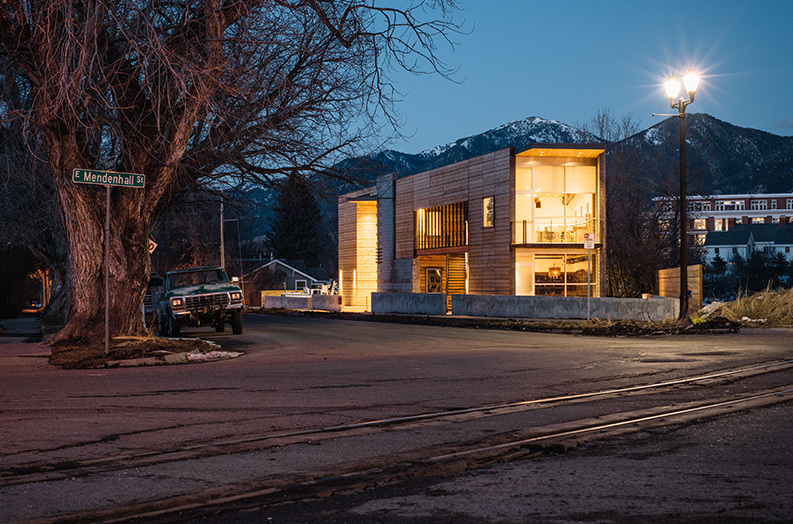 We executed a complete build-out of a 6,000-square-foot office space for a Bozeman, Montana-based architect firm. The foundation consists of 48 helical piers that support a structure that is conventionally framed with internal steel support. 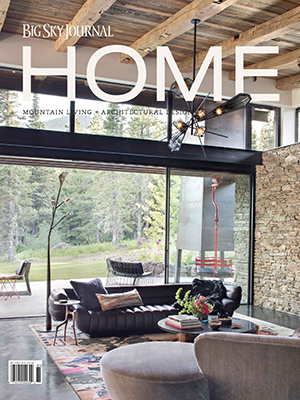 Using native and historic materials, we design, build, and revitalize residential and commercial spaces, preserving a soulful regional character that celebrates the spirit of the west. Whether you wish to start from scratch and manifest your unique vision for a custom home or breathe new life into an existing space, our team of artists and craftsmen will transform your ideas into a beautiful, tangible reality. 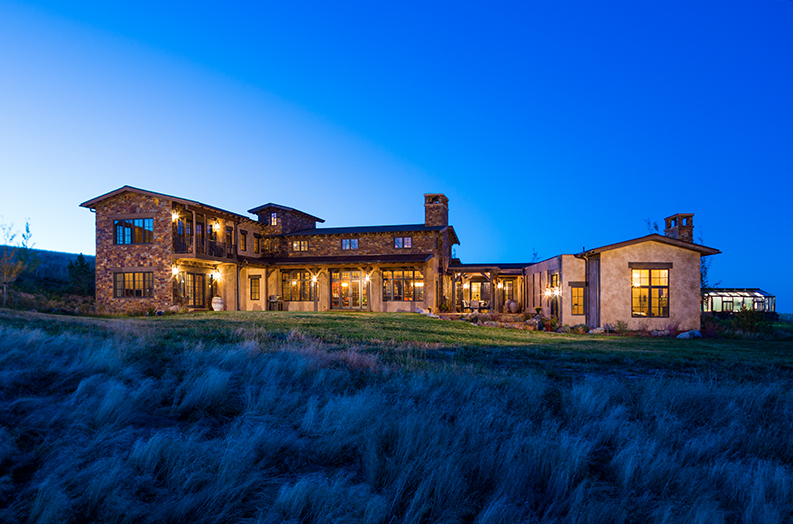 Our projects include custom homes, custom commercial developments, ranch redevelopments, and building restoration. 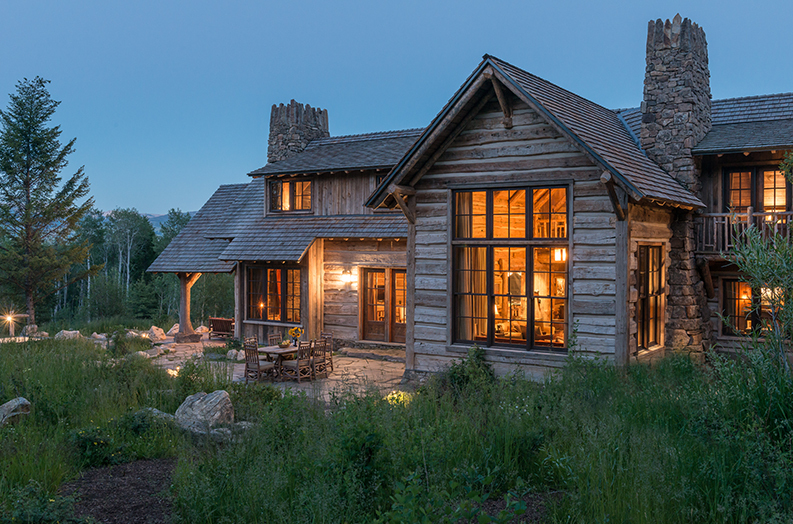 "Friendship and tradition mingle in a log-home classic." 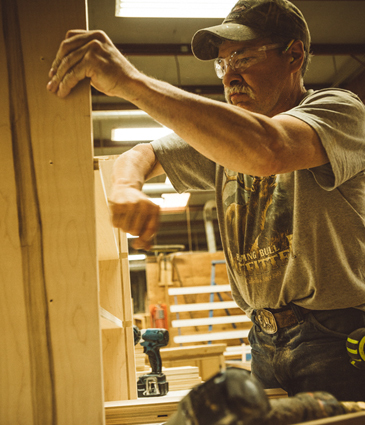 A natural offshoot of our construction work, our carpentry shop enables us to enhance the beauty and functionality of our homes’ interiors with unique, handcrafted furnishings and more.